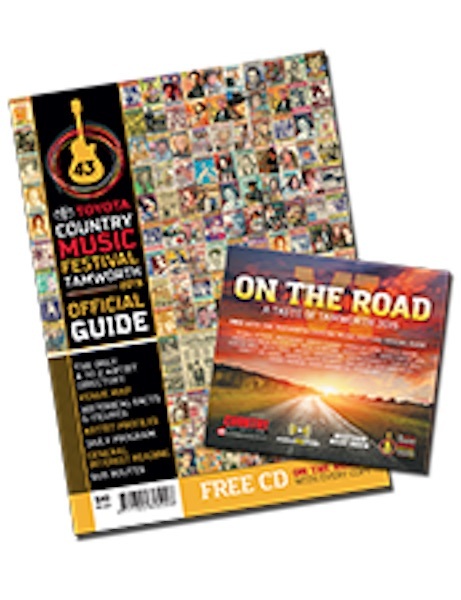 The Official Guide to the Tamworth Country Music Festival produced and published by Capital News – is recognised as one of the world’s biggest festival publications. It is the original and definitive Tamworth Festival Guide featuring the Official Day by Day Program and Official A to Z Artist Directory. The 2016 souvenir official guide will be a bumper issue with over 260 pages covering the countdown (seven days before the festival) and the official ten days festival period from the 15th to 24th January. This year the Official Guide will include a special free Capital News souvenir music CD reflecting this unique festival, valued at $25.00. helpful visitor guide information covering the Country Music Capital and the region. new insightful stories into the famous festival. The Official Guide will be available from newsagents in and around Tamworth and selected newsagents throughout New South Wales, Queensland and Victoria from early January 2016. Mr Mcgarth I live in the United States and I am thinking about visiting Australia sometime in 2016. I would like to have a copy of the 2016 Official Guide to the Tamworth Country Music Festival. How do I go about getting a copy of this guide and how much does it cost? Some of my favorite artists in Australia are Ian Simpson and Amos Morrison. Thank you for your help.